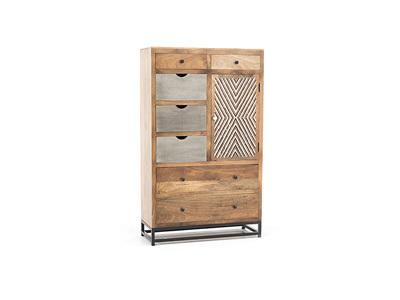 Doors and drawers in a handsome silhouette! 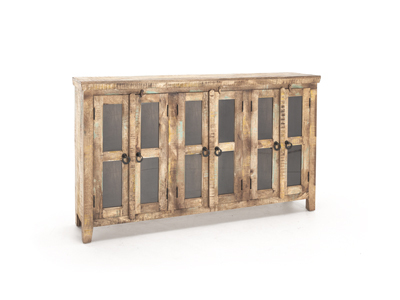 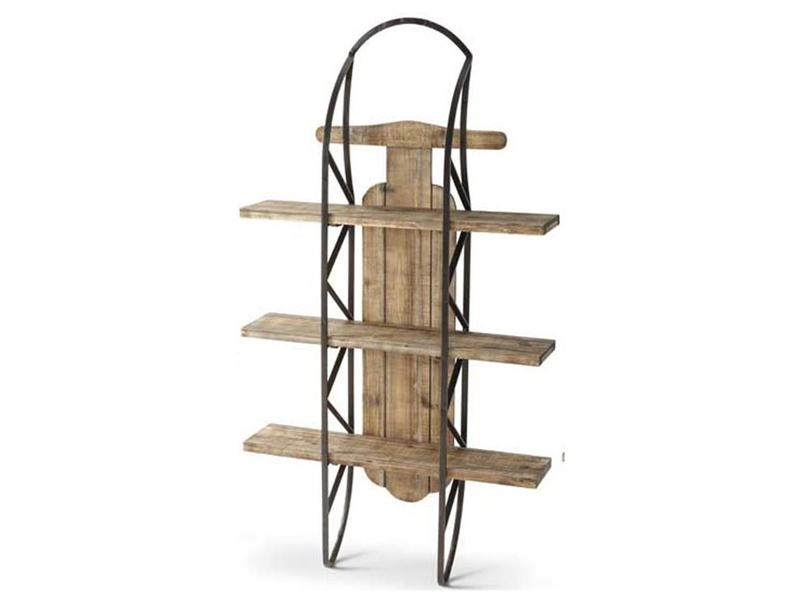 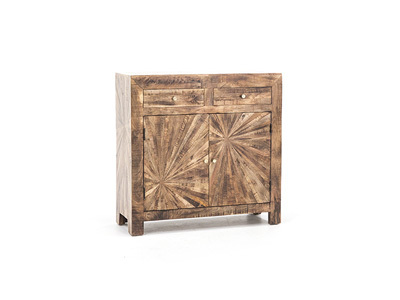 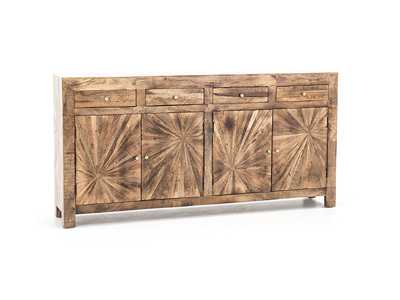 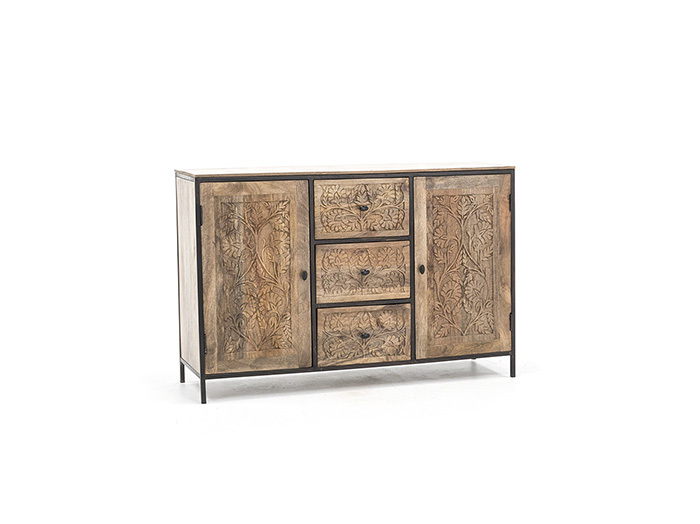 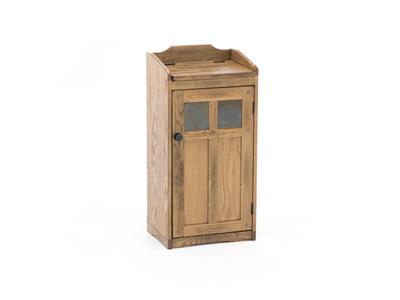 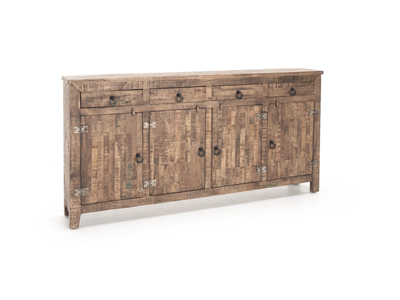 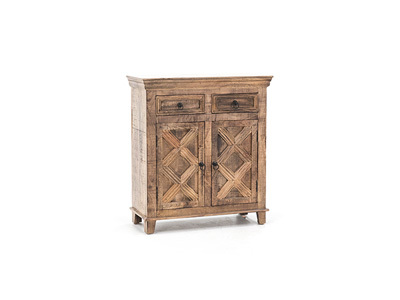 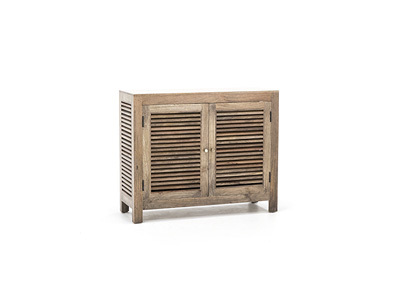 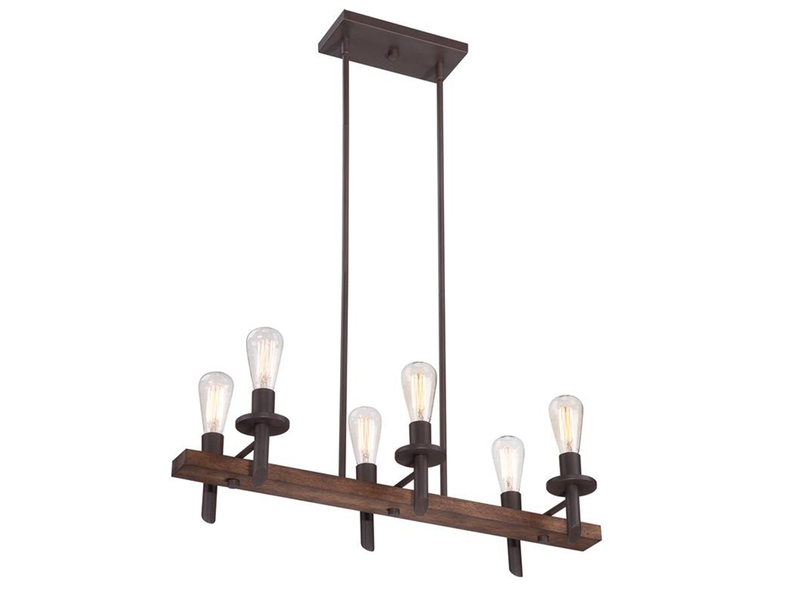 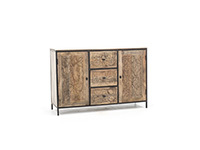 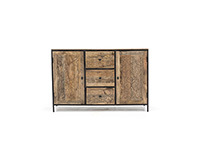 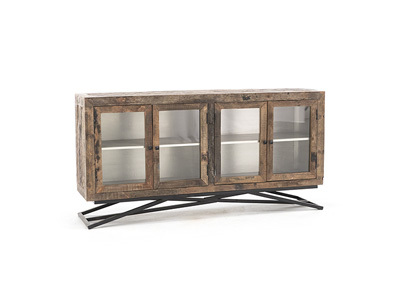 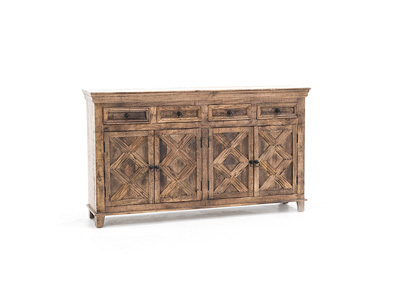 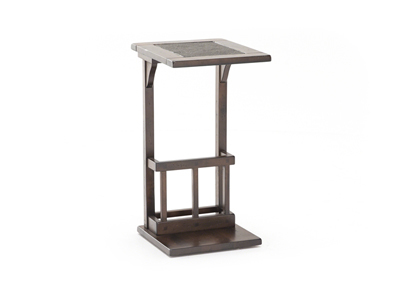 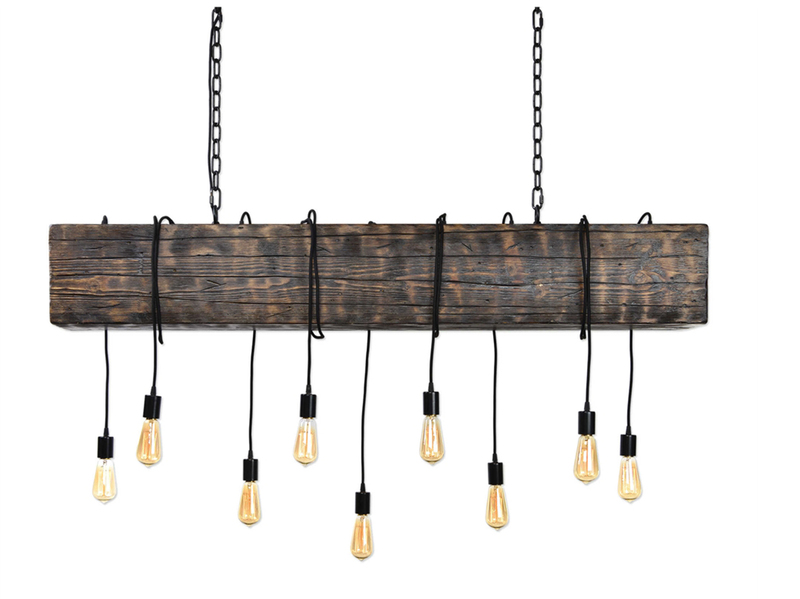 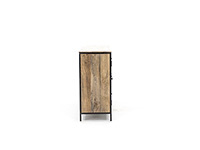 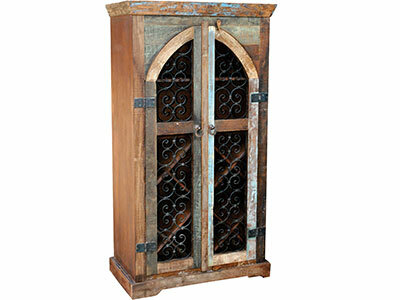 A sturdy iron frame supports solid mango wood in a blended finish. 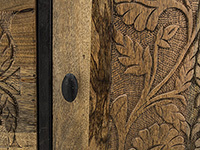 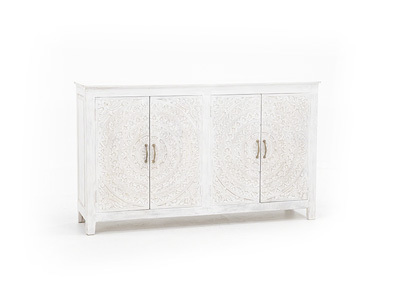 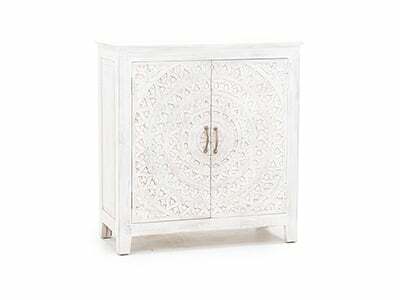 Intricately carved front panels and simple iron hardware complete the package. 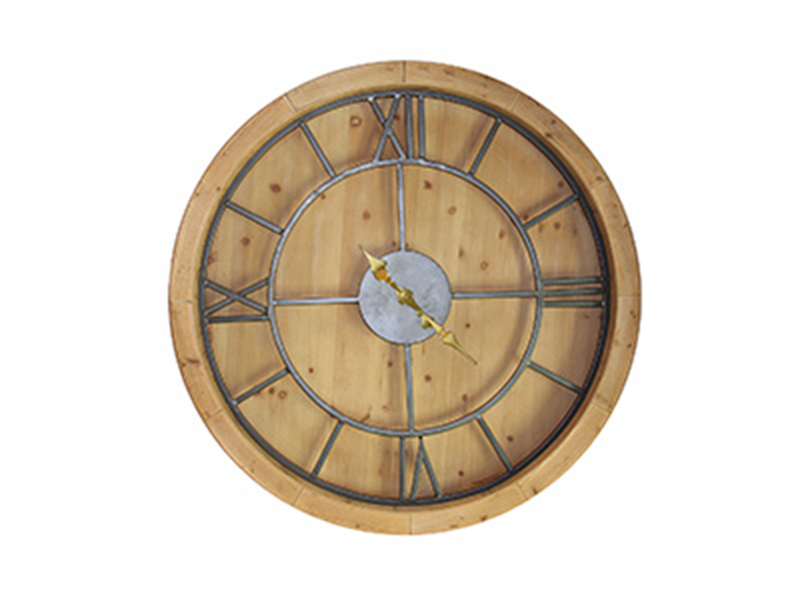 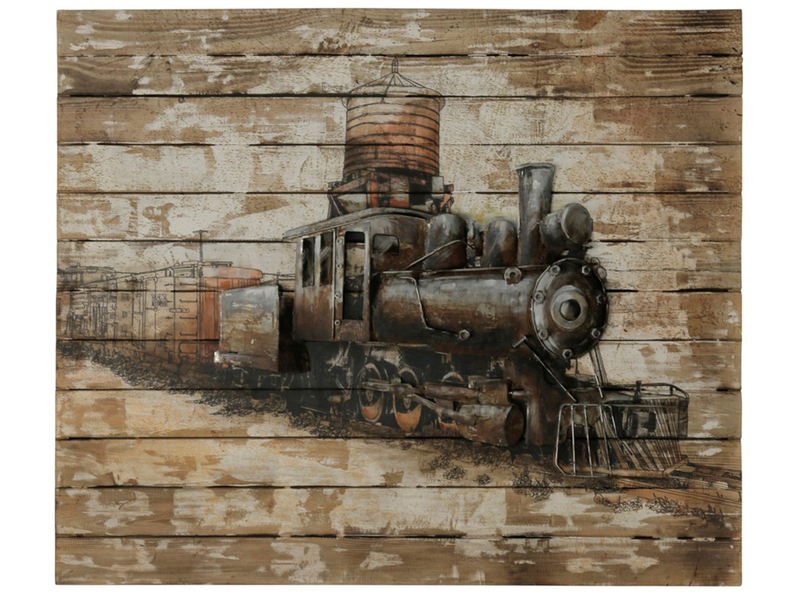 Wood and Metal Wall Clock 40"